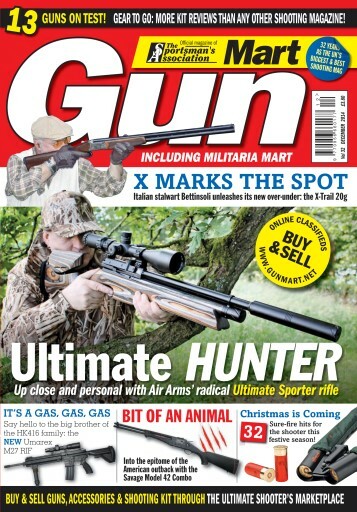 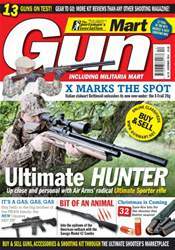 Welcome to our packed Christmas edition with 13 expert guntests including the slick Air Arms Ultimate Sporter pcp rifle. 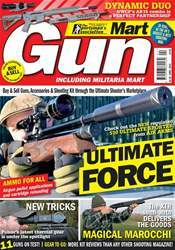 Also there’s a first look at the ATA SP adjustable stocked o/u shotgun and the Suffolk Rifle SRC-22 semi-auto rifle, plus Bettinsoli’s X-Trail 20 bore shotgun, Howa’s 1500 Sporting Rifle in .308, an unusual and interesting Savage Model 42 combined rifle/shotgun, and BSA’s GRT Lightning XL SE gas-ram powered rifle. 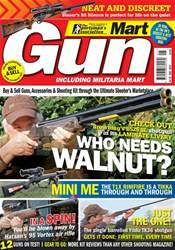 For those who enjoy historic replicas check out Gletcher’s P08 ‘Luger’ Co2 pistol, the Pietta Colt 1860 cap’n’ball revolver and the CYMA airsoft Thompson M1A1 submachine gun. 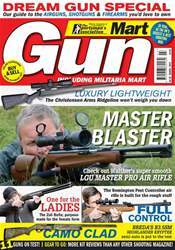 PLUS dozens of great Christmas gift ideas for all shooters – enjoy!